Even though you think you can’t draw. You can! Corporate classes are for small, medium or larger groups. Course venues and times can be tailored to suit your group. You will be introduced to travel sketching steps and tips and will become more confident about sketching. 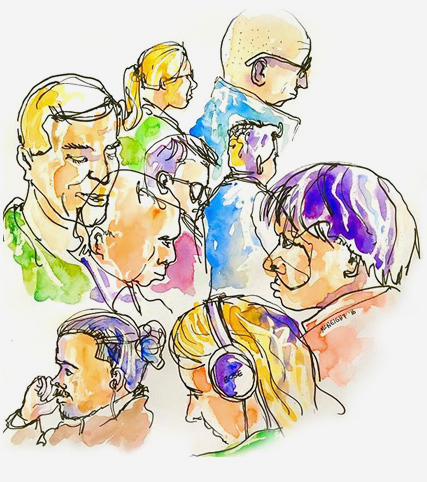 At the end of the course everyone will have produced some beautiful little sketches that you’d have never dreamed possible — and yes, absolutely everyone can learn to sketch! $Price based on number of students & duration. Contact Tony to work it out.